All SUN CITY GRAND SUMMERWIND homes currently listed for sale in Surprise as of 04/23/2019 are shown below. You can change the search criteria at any time by pressing the 'Change Search' button below. 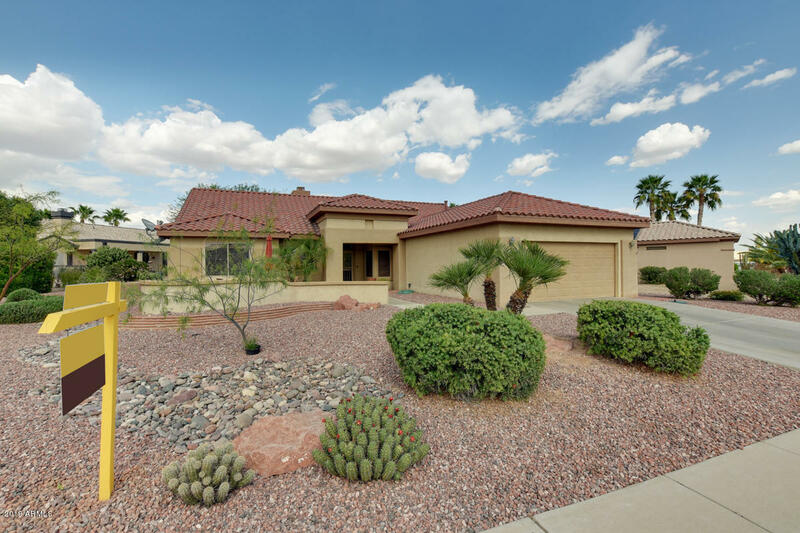 "Lovely Cholla model on quiet interior lot. Great room concept, 1,934 square feet, 2 bedrooms, 2 bathrooms, den, eat in kitchen and dining area. Large open kitchen with island, maple cabinets. Newer stainless refrigerator,microwave & dishwasher. Tile floor in all the right places. Enclosed den. Fireplace. Bay window in master bedroom. Inside laundry, newer washer/dryer included. Extended garage with storage cabinets. Relax on the courtyard and watch the sunset. Extended patio with knee wall"